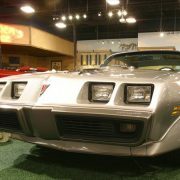 1979 Pontiac Trans Am Coupe Tenth Anniversary. 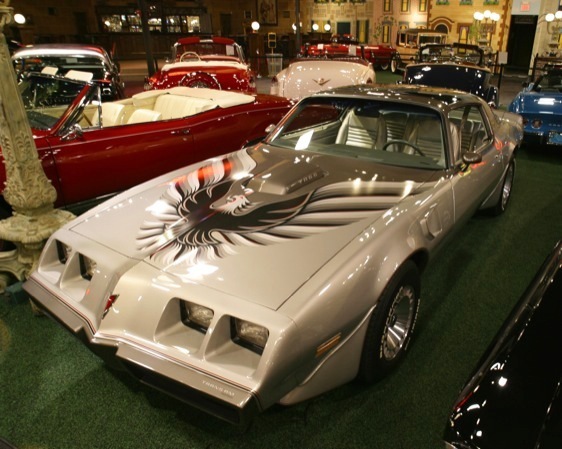 General Motors made 7,500 of these limited edition cars and only 1,817 four speed cars. 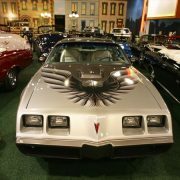 Only 32,00 documented original miles Pontiac 40-0 matching numbers engine and its mated to its original Borg Warner four speed transmission At 220 Horse Power, in 1979, it was one of the Most Powerful cars of its Time. 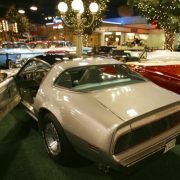 The second generation debut for the 1970 model year was delayed until February 26, 1970, because of tooling and engineering problems; thus, its popular designation as a 1970 1/2 model, while leftover 1969s were listed in early Pontiac literature without a model-year identification. 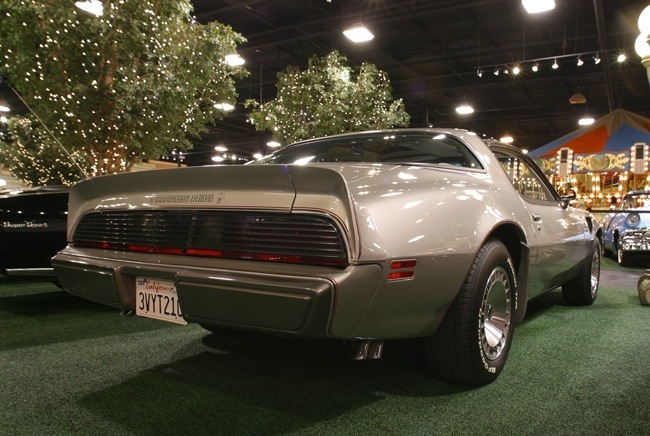 Replacing the “Coke bottle” styling was a more “swoopy” body style, with the top of the rear window line going almost straight down to the lip of the trunk lid — a look that was to epitomize F-body styling for the longest period during the Firebird’s lifetime. 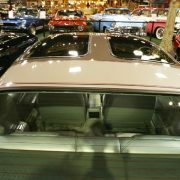 The new design was initially characterized with a large C-pillar, until 1975 when the rear window was enlarged. 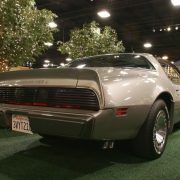 There were two Ram Air 400 cu in (6.6 L) engines for 1970: the 335 hp (250 kW) Ram Air III (366 hp (273 kW) in GTO) and the 345 hp (257 kW) Ram Air IV (370 hp (280 kW) in GTO) that were carried over from 1969. 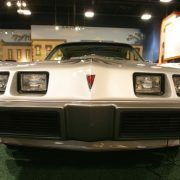 The difference between the GTO and Firebird engines was the secondary carburetor linkage which prevented the rear barrels from opening. 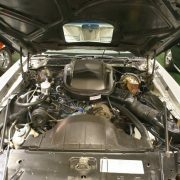 Bending the linkage to allow full carburator operation resulted in identical engines. 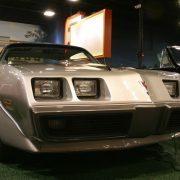 A distinctive, slant-nose facelift occurred in 1977, redone somewhat in 1979. 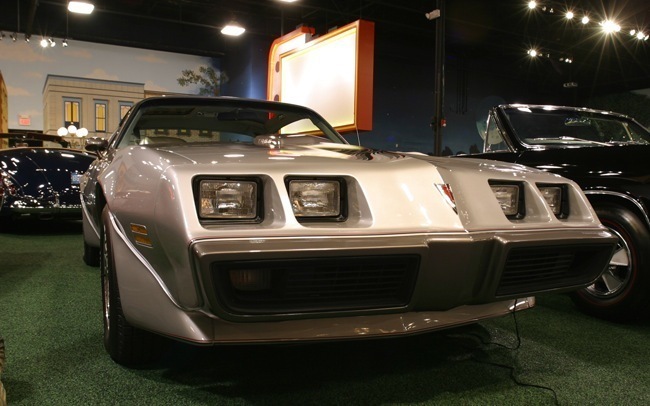 From 1977 to 1981, the Firebird used four square headlamps, while the Camaro continued to retain the two round headlights that had previously been shared by both Second Generation designs. 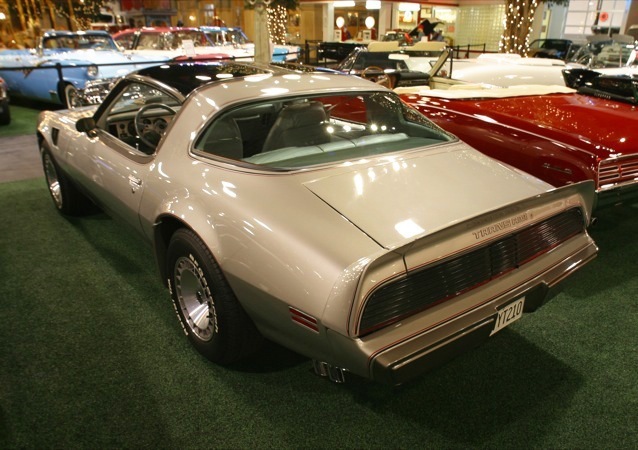 Curb weights rose dramatically in the 1973 model year due to the implementation of 5 mph (8.0 km/h) telescoping bumpers and various other crash and safety related structural enhancements; SD455 Trans Ams weighed in at 3,850 lb (1,750 kg). 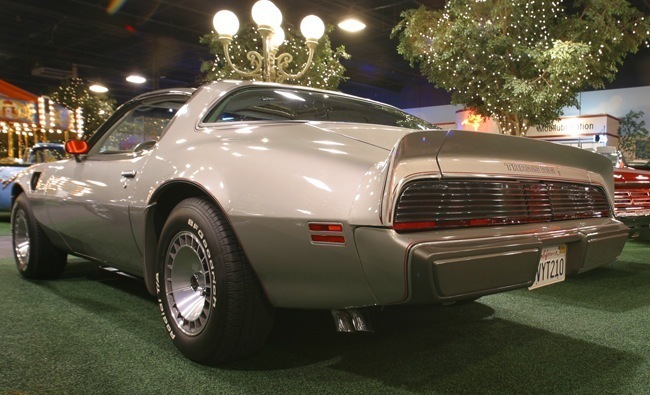 The 455 engine available in the second generation Firebird Trans Am was arguably the last high-performance engine of the original muscle car generation. 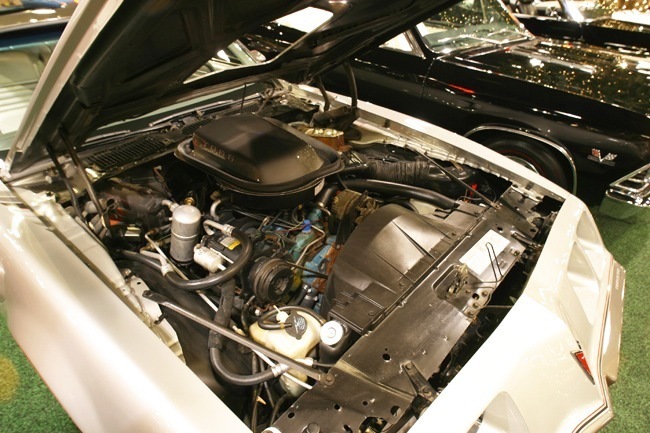 The 455 cu in (7.5 L) engine first made its appearance in 1971 as the 455-HO. 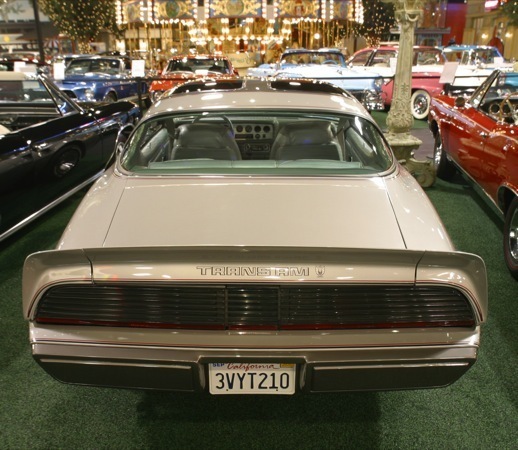 In 1973 and 1974, a special version of the 455, called the SD-455, was offered. 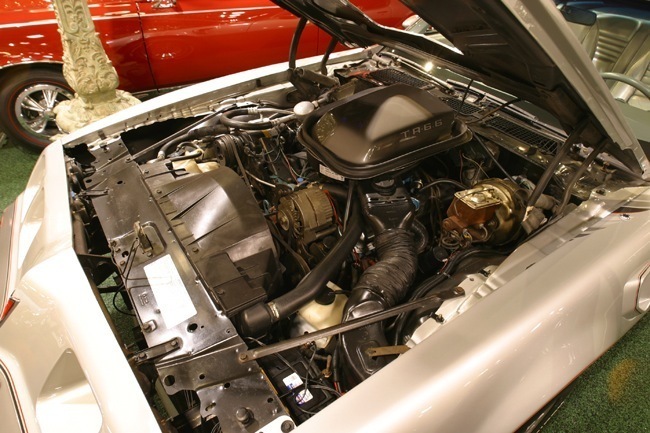 The SD-455 consisted of a strengthened cylinder block that included 4-bolt main bearings and added material in various locations for improved strength. 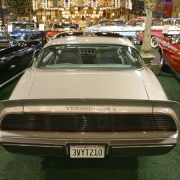 Original plans called for a forged crankshaft, although actual production SD455s received nodular iron crankshafts with minor enhancements. 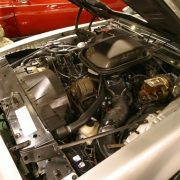 Forged rods and forged aluminum pistons were specified, as were unique high flow cylinder heads. 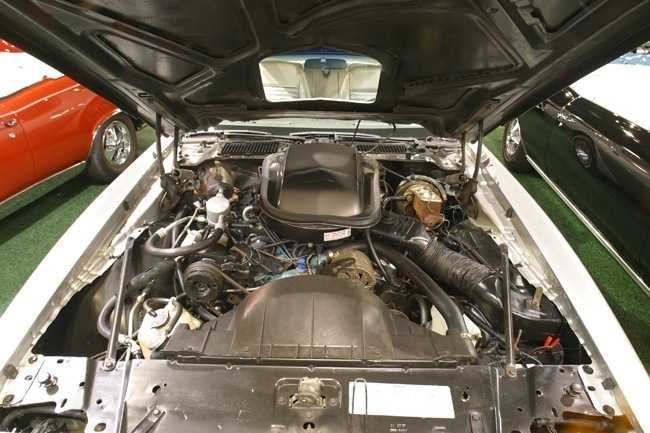 A 1967 GTO Ram Air camshaft with 301/313 degrees of advertised duration, 0.407 inch net valve lift, and 76 degrees of valve overlap was specified for actual production engines in lieu of the significantly more aggressive Ram Air IV style cam that had originally been planned for the engine (initially rated at 310 hp (230 kW) with that cam), but proved incapable of meeting the tightening emissions standards of the era. 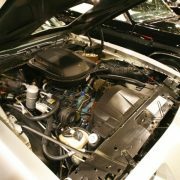 This cam, combined with a low compression ratio of 8.4 (advertised) and 7.9:1 actual resulted in 290 SAE net horsepower. 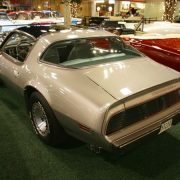 Production test cars yielded 1/4 mile times in the 14.5 second/98 MPH range in showroom tune – results consistent for a car with a curb weight of 3,850 pounds and the rated 290 SAE net horsepower figure some sources suggest was “under-rated,” High Performance Pontiac magazine dyno-tested an SD and gave it 371 SAE net rating. 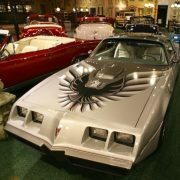 During a 1972 strike, the Firebird (and the sister F-body Camaro) were nearly dropped. 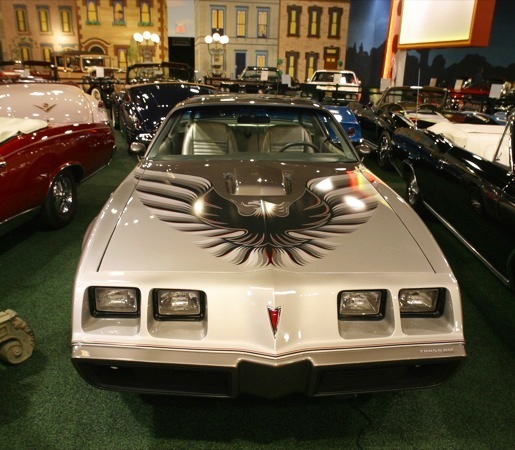 Pontiac offered the 455 for a few more years, but tightening restrictions on vehicle emissions guaranteed its demise. 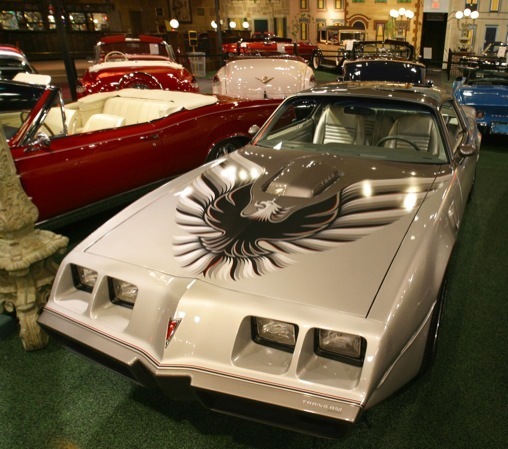 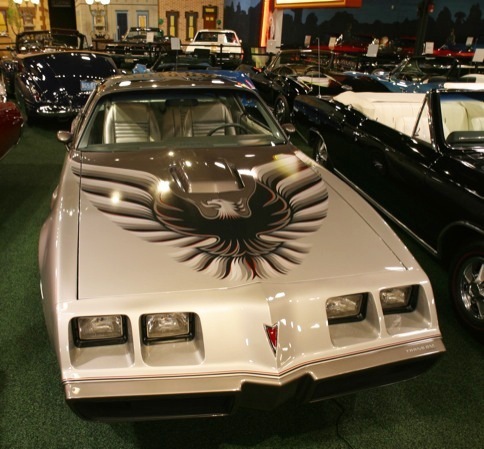 Thus, the 1976 Trans Am was the last of the “Big Cube Birds,” with only 7,100 units produced with the 455 engine. 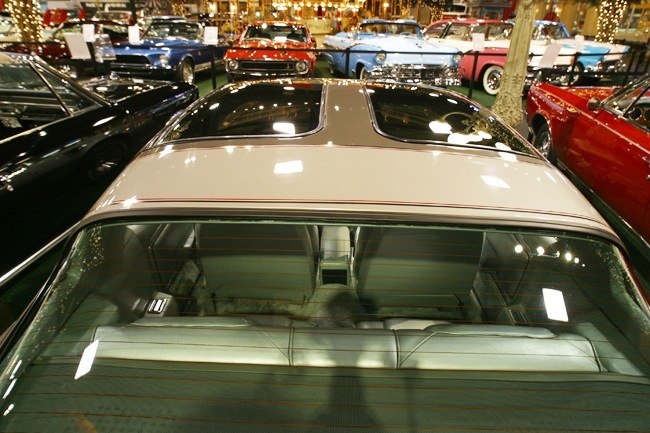 The 1975 models featured a new wraparound rear window with a revised roofline. 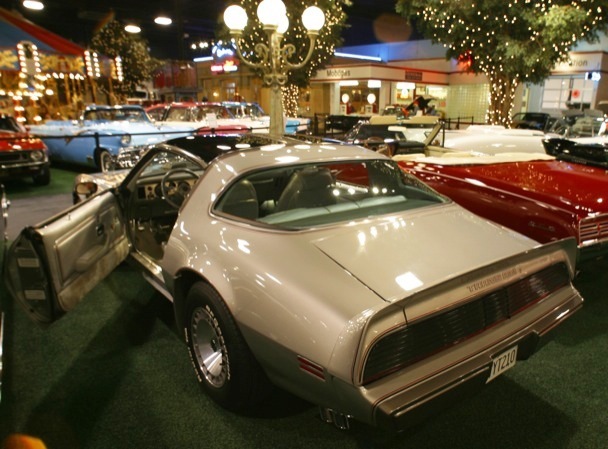 The Super Duty engines, Muncie 4-speed, and TurboHydramatic were no longer available in 1975. 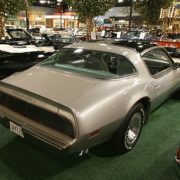 The 400 and 455 engines were optional above the base six and V8 in the 1975 and 1976 models. 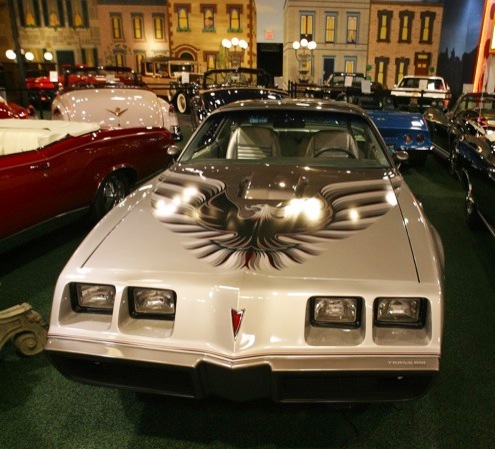 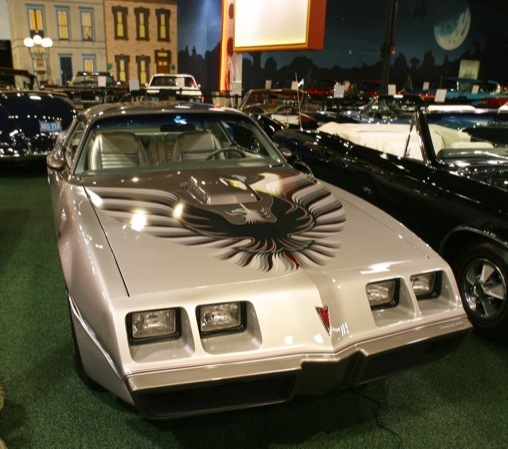 In 1976, Pontiac celebrated their 50th Anniversary, and a special edition of the Trans Am was released. 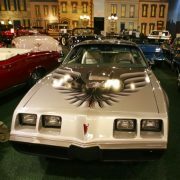 Painted in black with gold accents, this was the first anniversary Trans Am package and the first production Black and Gold special edition. 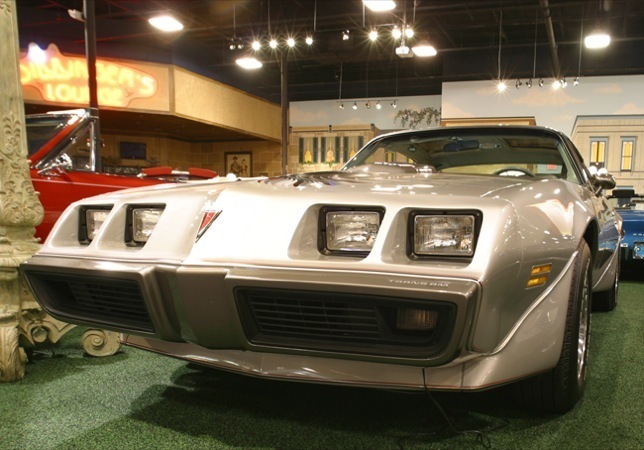 In 1977, Pontiac offered the T/A 6.6 Litre 400 (RPO W72) rated at 200 hp (150 kW), as opposed to the regular 6.6 Litre 400 (RPO L78) rated at 180 hp (130 kW). 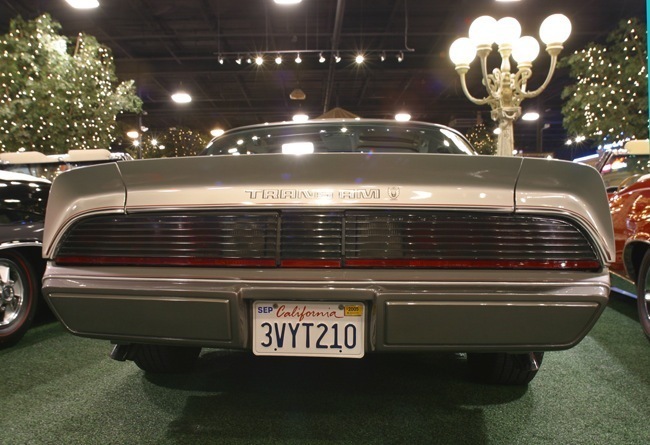 In addition, California and high altitude cars received the Olds 403 engine, which offered a slightly higher compression ratio and a more usable torque band than the Pontiac engines of 1977. 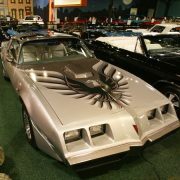 Beginning in 1978, Pontiac engineers reversed years of declining power by raising the compression ratio in the Pontiac 400 through the installation of different cylinder heads with smaller combustion chambers (1977 pontiac 400 engines also had the 350 heads bolted to the 400 blocks, these heads were known as the 6x-4 heads)(taken from the Pontiac 350). 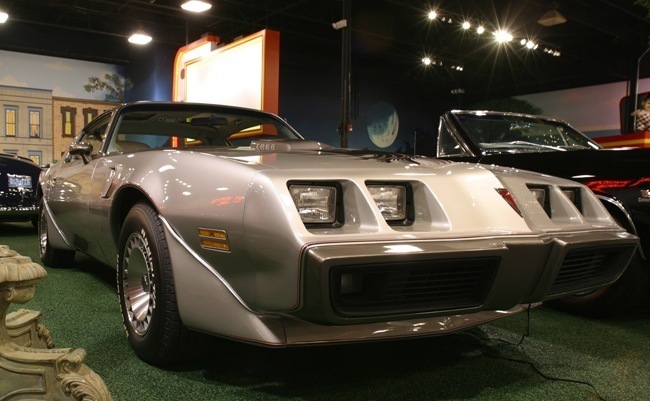 This increased power by 10% for a total of 220 during the 1978-79 model years. 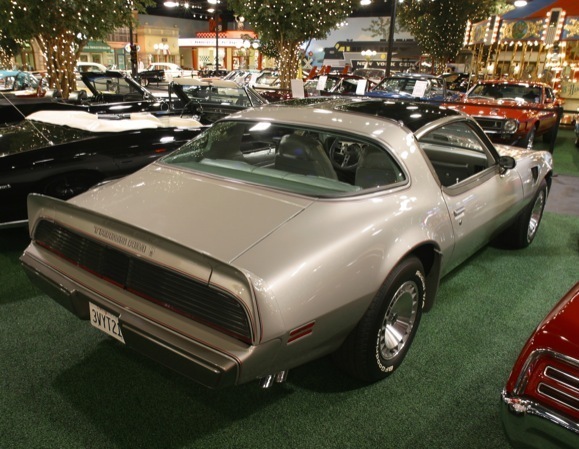 The 400/403 options remained available until 1979, when the 400 CID engines were only available in the 4-speed transmission Trans Ams and Formulas (the engines had actually been stockpiled from 1978, when PMD had cut production of the engine). 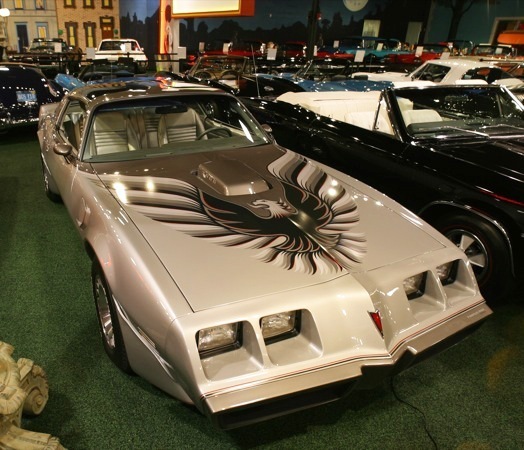 1979 marked the 10th Anniversary of the Trans Am, and a special anniversary package was made available: silver paint with a silver leather interior. 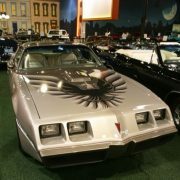 The 10th Anniversary cars also featured a special Firebird hood decal, which extended off of the hood and onto the front fenders. 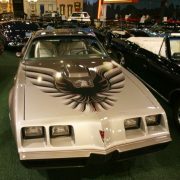 In 1979 Pontiac sold 116,535 Trans Ams which still holds the record to this day. 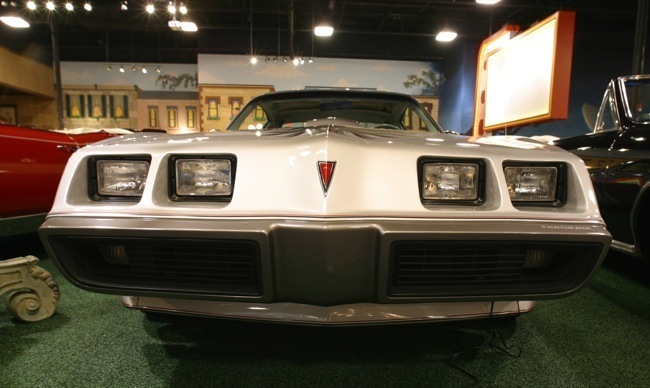 In 1980, due to ever-increasing emissions restrictions, Pontiac dropped all of its large displacement engines. 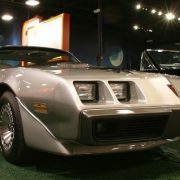 1980 therefore saw the biggest engine changes for the Trans Am. 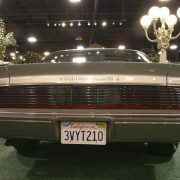 The 301, offered in 1979 as a credit option, was now the standard engine. 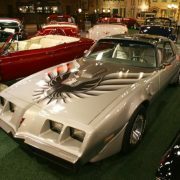 Options included a turbocharged 301 or the Chevrolet 305 small block. 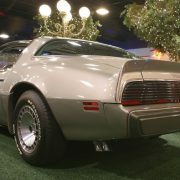 In the final year of the Second Generation Firebirds (1981), Trans Am still used the same engines as it had in the previous model year, with the only change being the addition of a new electronic carburetion system.